I can't help sharing these photos, because I don't take her out for pictures very often. She seemed to be in a nice mood today! 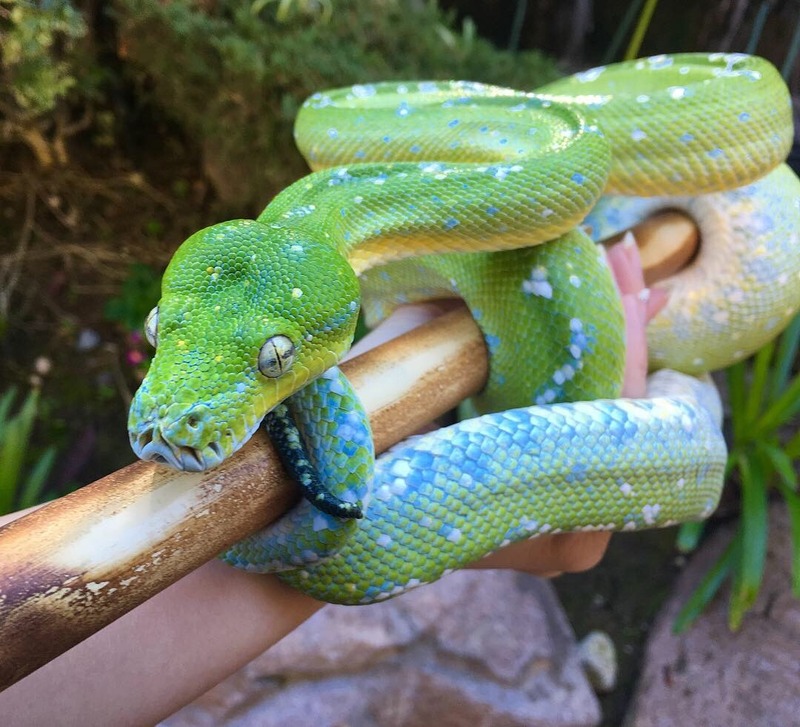 12 year old female Aru green tree python. She was a retired breeder and came to me. The blues between her scales on her head are real, not photoshopped. The natural sunlight makes all her colors very clear. The LED lights in her cage dull them out considerably. Last edited by redshepherd; 12-13-2018 at 04:23 PM. Yep ... it's rather an understatement to say that she's 'pretty'. She'd look amazing on a black background !! Last edited by Zincubus; 12-13-2018 at 04:25 PM. I’m willing to give up everything and move out to California and marry u if I can have half custody of that beautiful snake!!!! And that says a lot since I’m way better off being here in Houston. 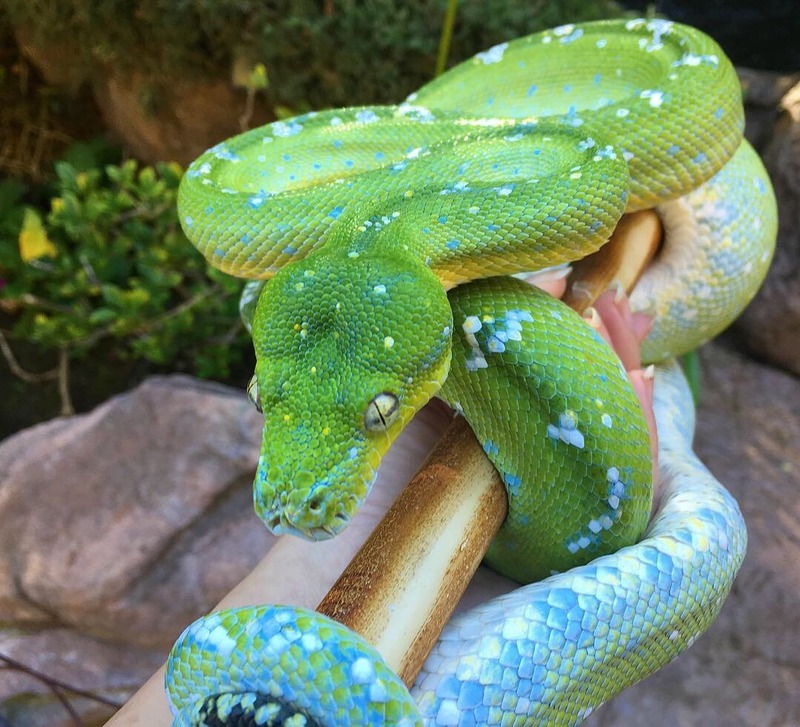 Seriously though that might be the best snake I’ve seen on here! Last edited by Danger noodles; 12-13-2018 at 04:24 PM. 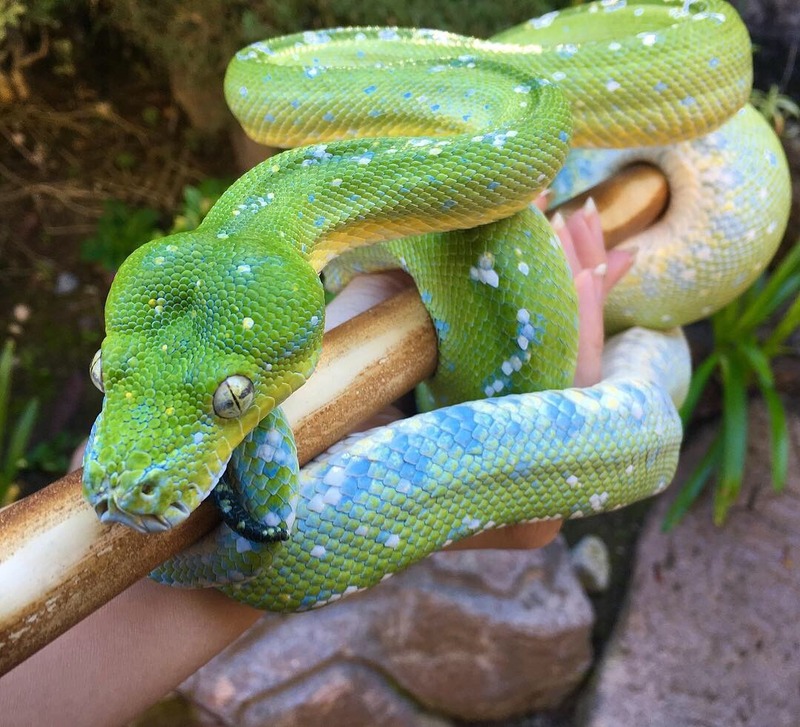 One of the prettiest snakes I've ever seen and an AMAZING example of a gorgeous GTP!!! That's why she deserves to be framed in your avatar. 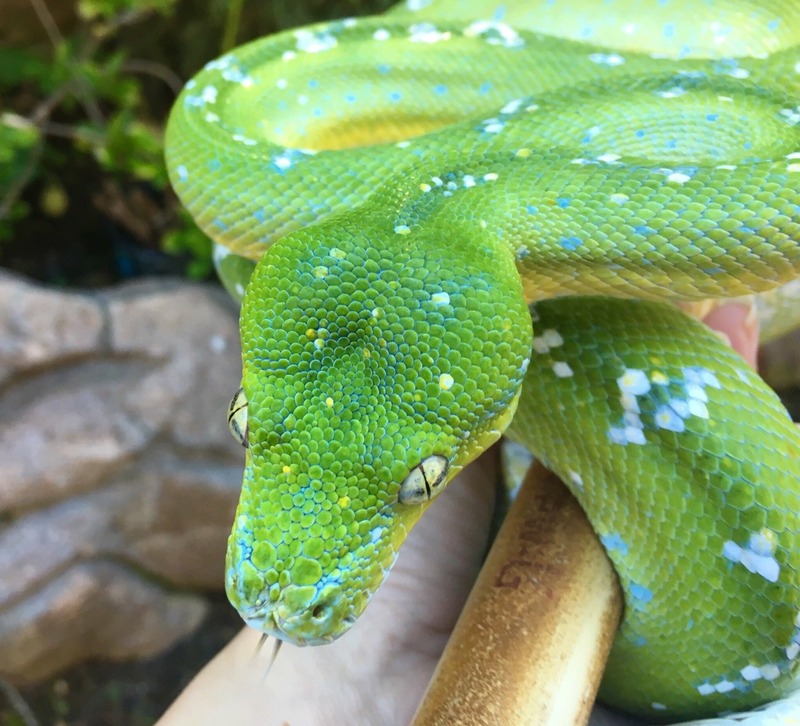 It's hard to beat a great looking green tree python! That's an awesome example of an Aru. Last edited by jbrumley4201; 12-13-2018 at 06:22 PM.